How to Put Buyers on The Bench When You Sell Your Own Home. The ‘bench’ is a very handy tool to keep buyers warm, and ready to get into the game. Have you finally lost your mind, Craig? Why would a buyer want to sit on my bench? Luckily I am still able convince the medicos that a I am sane – just. Having coached junior rugby league for fifteen years, an average (at best) player in my younger days and always a keen observer and avid supporter – I draw quite a few analogies from sport to further my explanations and observations of the property and business world. In this particular post, I want to show you, if you are looking to sell a house privately, that the ‘bench’ is a very handy tool to keep buyers relaxed, interested and ready to get into the game. Many team sports don’t just rely on the players who take the field at the start of any game. There is usually a number of ‘reserves’ who can be called upon when one of the ‘starters’ gets injured, shows poor form or needs a quick chat with the coach. Players who start from the bench aren’t necessarily poorer players. They may have a role as an ‘impact’ player, not quite at full fitness, or new to the team and getting used to structures and game plans. In rugby league, for example, the teams with the strongest ‘benches’ generally prove hard to beat and go a long way into playoffs and finals. The bench is a critical part of any team’s success. And it certainly is when it comes to selling your own home. Your ‘bench’ comes into play at the time, or just after, you secure a deal and a contract on your home or property. Yes, you have a buyer, however, as with nearly all contracts, there are conditions that need to be met before your buyer becomes the new owner. Most contracts allow for anywhere between ten and twenty-one days for these conditions to be met by the buyer. This is called the ‘conditional’ period. Yes, you have a deal, but if any of the conditions can’t be met – the buyer can’t obtain finance or the building inspection scares the buyer off – the property goes back on the market and a new buyer is sought. It pays to have all your bases covered! It is during this conditional period of the sale that you should continue to take enquiries from other buyers – put them on the bench – in case the current contract ‘falls over’ on any of the conditions. 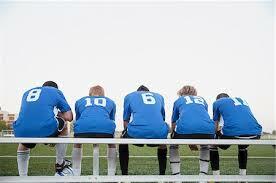 Keep their details, and if the contract does fall over, bingo – go to your bench and get your reserves onto the field. Usually another offer/contract isn’t far away. And if your current contract does stick, it’s nice to tell any bench players that they won’t be getting a run today – the property has sold. Using another sporting analogy – it pays to have all your bases covered! Previous Previous post: Kids: Cute or a Costly Distraction When Buying or Selling a Home? Next Next post: How long will it take to sell my house and for how much?